It's bluegrass weekend in Clifton. On Saturday evening, Sept. 1st, another fabulous bluegrass group will take the Clifton Opera House Stage at 7:30pm. 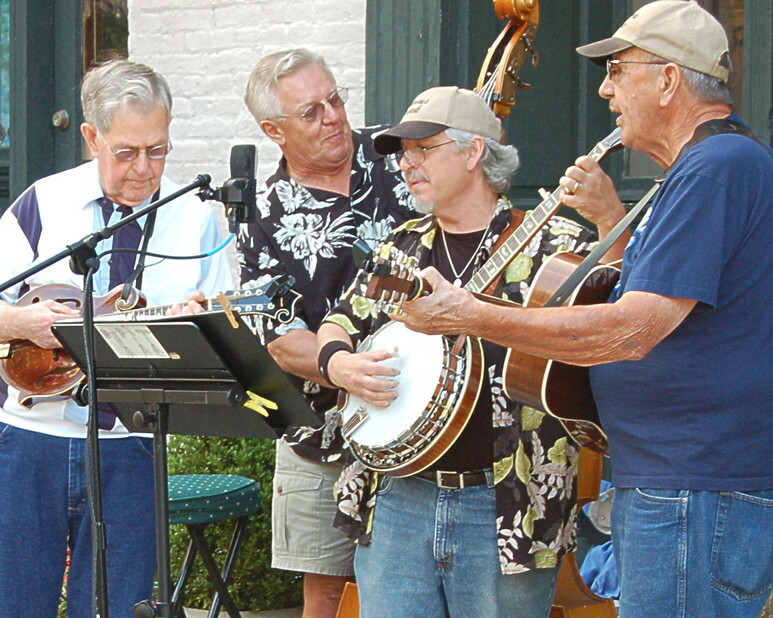 Storm's Creek plays a down home family friendly mix of bluegrass and gospel music. Formed about 6 years ago with fun as the primary goal they have meshed together bringing a good show wherever they perform. Bud Brubaker on Guitar and vocals, Mac Mckenzie on Mandolin, Guitar, and vocals, Paul Odegard on the Bass and vocals, and Pat Carine Sr., on Banjo, Guitar, Mandolin, and vocals. The Clifton Opera House is located at 5 So Clay Street. The box office opens at 6:30pm. Suggested door donation is $7.00, call 937-767-2343 for information.